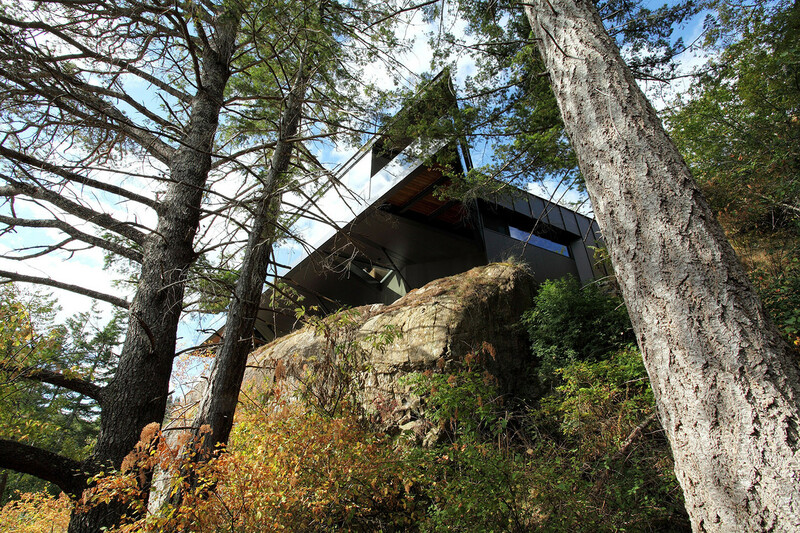 The Tula House by Patkau Architects is nestled 44 feet above the Pacific Ocean on Quadra Island in British Columbia. Although a private residence, it's also the meeting place for the Tula Foundation, a non-profit organization that focuses its activities in marine research. The home was created thruogh the use of multiple different planes to express the irregularities within the natural context - the open water, the beach, and the heavily forested area all add to the dynamism of the site. When approaching the Tula House, the charcoal coloured fibre-cement panels used for the cladding aids in making the house blend into the Douglas-fir forest. The gravel and low rock walls direct the users to the entrance of the house that is defined by shard-like concrete plates. These concrete plates extend from the courtyard to the interior flooring of the house creating a sense of continuity and strengthening the inside and outside relationships. 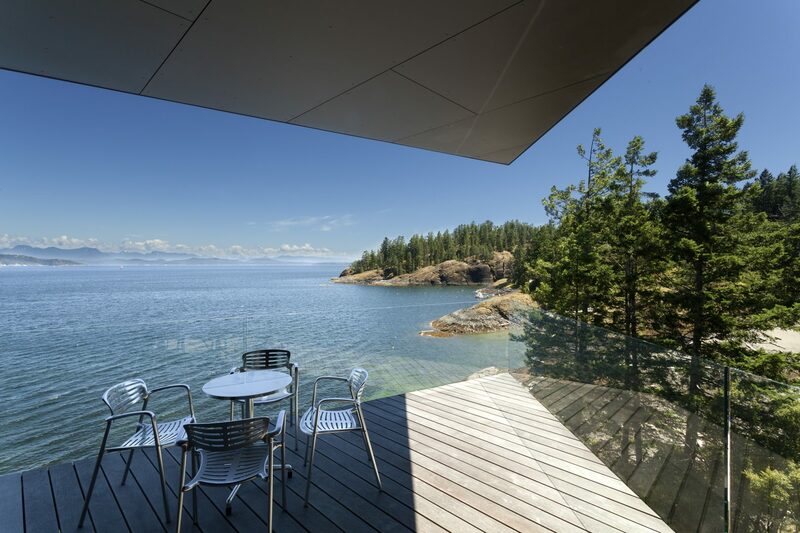 Cantilevered off the rocky outcrop, on the eastern façade of the building there is a wooden deck that captures an uninterrupted view of the water through the use of large glass pieces. I can imagine that this deck is the place to be to feel completely immersed within nature! 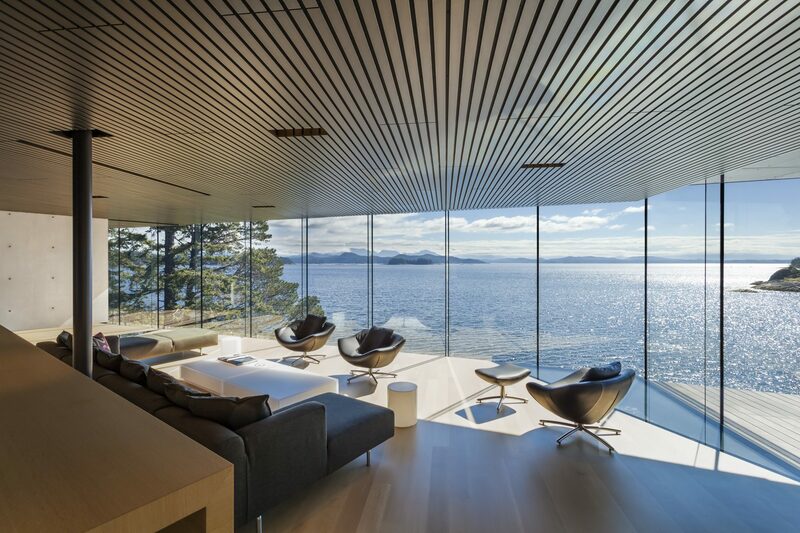 The interior space of the house is defined by a shell-like arrangement of concrete walls that allows for the circulation to flow into spaces that allow views of the ocean, Strait of Georgia and the mountain ranges on the mainland of British Columbia. The circulation further branches off into smaller moments that frame views into the diversity of the site including the small tidal basin, moss covered rocks, and views into the tree canopies. The angular roof planes follow the flow of the interior spaces and reflect the ground planes that the building is situated on. The roof is covered by vegetation native to the area and narrow slots are provided for skylights that cast lines of light on the interior spaces. Seeing the ideas from the natural landscape come to life in the Tula House makes me feel like this building is a wonderful addition to Quadra Island. The way that the designers address the conversation between built form and nature is interesting as those ideas can be seen from the approach, the form, and how specific natural elements are framed through the use of glazing. The Tula House shows a method in how to address a building surrounded by nature rather than a building within an urban context. The design allows people to see how buildings can reflect nature and bring it into the interior of the building while keeping in mind the purpose of the building. 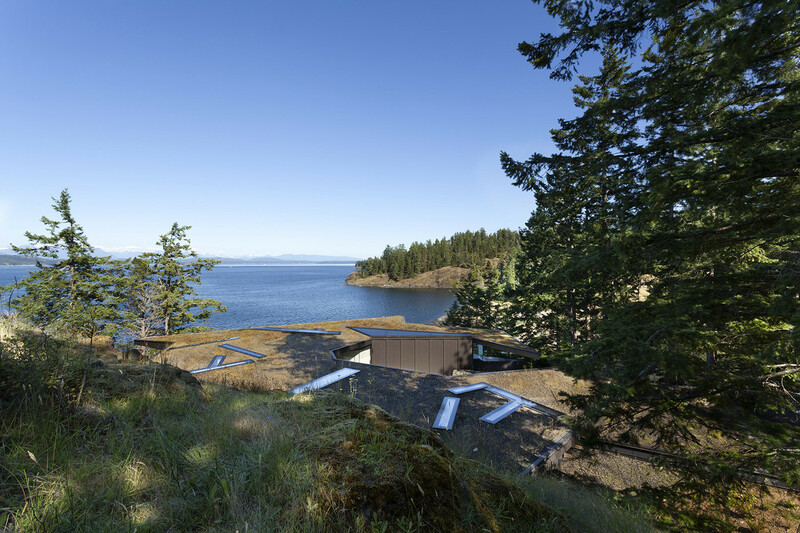 Linear House On Saltspring Island, B.C. To see more from their portfolio, check out their website! Images Courtesy of James Dow. This article was researched and written by Saijeeni Elangko, Bachelor of Architectural Science, Ryerson University.